This is the second release from Blue Lotus Recordings, a new label based in St. Louis. Multi-instrumentalist Paul Niehaus IV comes up with another strong release that he co-produced, along with drummer Kevin O’Connor, for singer Gene Jackson. 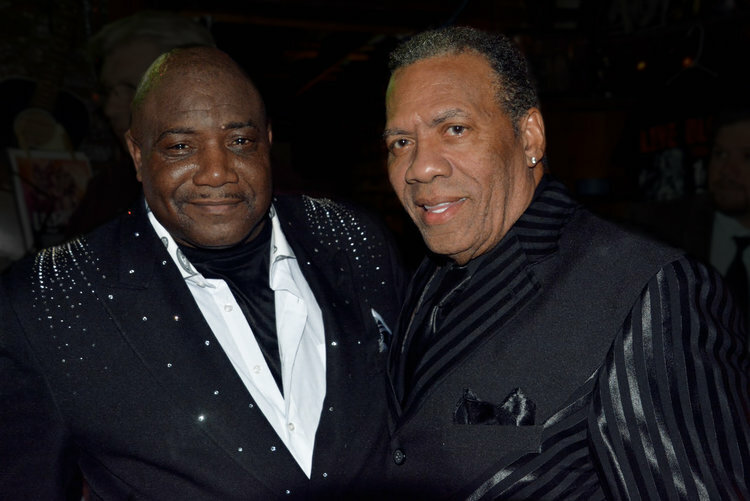 Their first release, Roland Johnson’s Imagine This, showed that Niehaus had a deep understanding and appreciation for soul music. In Johnson and Jackson, he found two veteran singers who remained criminally undiscovered outside of their local market. Listeners are treated to a wide-ranging program that samples the sounds that once rang out of Detroit, down to Memphis, and finally Muscle Shoals, AL. Jackson co-wrote the ten tracks with Niehaus, with O’Connor contributing on three songs. The opener, “That’s Why I Love You,” shows that Jackson can sing sweet & pretty one minute, then switch to a gritty tone without missing a beat. Niehaus plays bass, guitars, organ, Wurlitzer piano, and trumpet on the track plus adds backing vocal along with Sean Coray and Charisse “Swan” Sauls. Mark Huth plays tenor and alto saxophone, creating a wall of sound behind Jackson. The title track finds him reminiscing about events from a year that was full of civil rights protests and a presidential assassination. But Jackson’s focus was on a girl with a beautiful smile, the woman who is still his wife. Mark Hochberg plays the violin and viola to create a beguiling string arrangement. “Love At First Sight” is an upbeat continuation of Jackson’s infatuation bolstered by a fine tenor solo from Huth. The Wurlitzer, played by Niehaus, is prominently featured on “Rag Doll,” with Jackson finding solace from a woman ignored by the rest of the world. The singer issues an impassioned plea for a mistreated woman’s love on “Ain’t No Way,” once again enveloped in strings with Marisa Sansone on viola, Anoy Hainze on cello, and Abbie Steiling on violin. The strings make another significant contribution on “Only God Can Help Us,” with Hainz and Steiling joined by Alison Derrick on viola for Jackson’s touching missive on dealing with the problems of the modern world. The soothing sounds of “You’re Gonna Get Hurt” recall of the golden age of the Motown sound, then Niehaus uses the Wurlitzer to create an accordion-like sound that combines with Hochberg’s violin to take you straight to the Louisiana bayou on “Voodoo Girl”. There are plenty of pop elements on “Married At The Station” but Jackson’s compelling vocal performance carries the day. The closer, “Son,” is a heartfelt tribute to his son, a victim of drugs. Full of old-school soul, this project is a keeper. Kudos to Niehaus for giving Gene Jackson the opportunity to release his first recording. He makes the most of it, using his vibrant voice and deliberate phrasing to inject love, hope, pain, and vulnerability into each track. Make a point to check this one out……..
“Recording studio in South City produced two albums up for national awards”. Sweet voiced Roland Johnson has been a local favorite on the St. Louis soul-blues scene for decades, covering classics made famous by James Brown, Sam & Dave, Solomon Burke and Bobby “Blue” Bland in a succession of bands, making all of the old tunes seem new and thrilling audiences whenever he appears. That’s why Imagine This must seem like a dream to him. Referred to by some folks as the “Otis Redding of St. Louis,” this CD is the first ever released under Johnson’s own name. Now 68 years old, Johnson’s a nattily dressed, finger-popping performer who’s way overdue to debut to a wider audience beyond venues like Beale On Broadway and BB’s Jazz, Blues And Soups where he regularly appears. Roland possesses a rich, melismatic tenor voice that deserves to be heard. He’s backed here by co-producers Paul Niehaus IV on bass and keyboards and Kevin O’Connor on drums, guitar and baritone sax. They’re assisted a host of talent, including Kellie Everett on alto and tenor sax, Adam Hucke on trumpet, David Gomez on tenor sax, Alison Derrick on viola, Andy Hainz on cello, Abbie Steiling on violin, Lew Winer III on soprano sax, Phil Westmoreland on guitars, Ethan Leinwand on piano and Renee Smith, Devin Cahill, Jackie Teuber and Rachel Wilson on vocals. The recording was mastered by Dave Gross at his Fat Rabbit Studios in Montclair, N.J. The end product is a rock-solid collection of brand new tunes that come across with the timeless feel of the soul-blues created in the late ’60s. 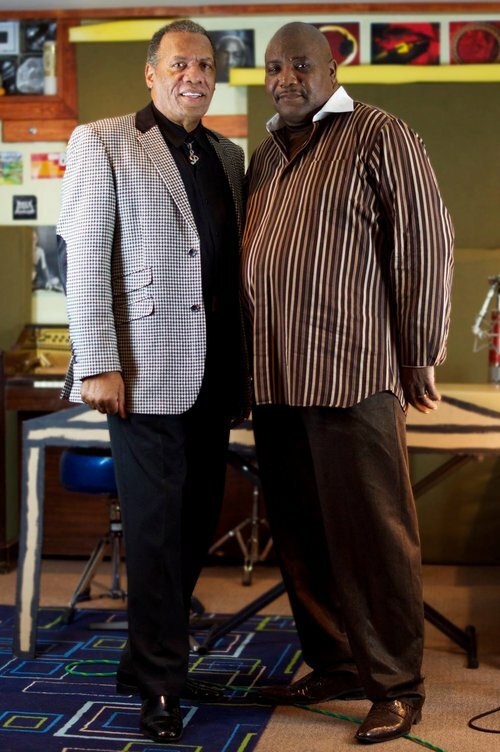 Johnson wrote nine of the 10 songs on the disc, with Westmoreland – who’s worked with Fontella Bass and Oliver Sain — contributing the other. The action starts with the spritely “Can’t Get Enough,” which sings praise for a new love. Johnson’s voice floats effortlessly as he delivers rapid-fire lyrics. “Promised Land” carries the theme forward. Roland’s standing before his lady with love’s arrows in his chest, yearning for her to walk with him hand-in-hand to the place in the title. Next up, is “Mother,” a tender, bittersweet, slow blues. It’s a remembrance of all the good things a mom provided while missing her deeply now that she’s gone. “Keep On Dancin’” urges folks onto the dance floor to keep “the lows from gettin’ you down” while “The Things You Do,” another love opus, quickly changes the mood, highlighted by vocal octave jumps atop a medium-fast shuffle. “Yours And Mine,” written by Westmoreland and featuring Smith on second vocal, claims the singer’s current romance is one that folks write songs and make movies about, and “Sweet Little Nothings” describe how Johnson hangs on his lover’s every word. “Ain’t That Loving You” – not to be confused with songs by Jimmy Reed and Luther Ingram – follows before the title tune, “Imagine This,” a fast shuffle, portrays the lady like a genie in a bottle, making all of his dreams come true. The album concludes with the somber, mostly acoustic “Someone To Love,” about missing a sweetheart who’s no longer at the singer’s side. Available through CDBaby and other online outlets, Imagine This is a very pleasant surprise for anyone who loves old school R&B. You’ll want to give it several listens like I did. INTERESTED IN BLUE LOTUS SOUL REVUE? Fill out our form below and tell us about your event!